Just an experiment with replacing all the shaders in AC with custom ones. Now, without Reshade! Only works with 64-bit AC, and latest version (v1.16.3). Timing fixed (now, if switched quickly, they’ll only flash once). That was a long way to some relatively stable build… There are still might be some bugs though, so new versions are coming. Make screenshots in PNG (don’t forget to enable it in CM settings). Other versions can be found here. Please keep in mind that thing is far from finished, so it might not work properly. Preview builds, more details, development progress. There, you can find some preview builds. Plus, it might be a good way to get a notification when the new version is out, and it would be easier to discuss new crashes in there. Configs, vertex AO patches, apps. And my new Patreon page, just in case. If you’re experiencing any problems which you believe should be solved in the newer version — such as laggy replays — disable and remove that mod, remove dwrite.dll and replace shaders with original ones, then install the latest version from scratch. Still nothing? Please tell me, in this Discord channel, directly or in comments! There is one thing you want in addition to your to do list. It is to make dynamic light and dynamic shadow influence particles such as smoke. In addition, it will be better for smoke to generate shadows and fall to the road. I think that this factor is an indispensable factor in the race game of this generation. 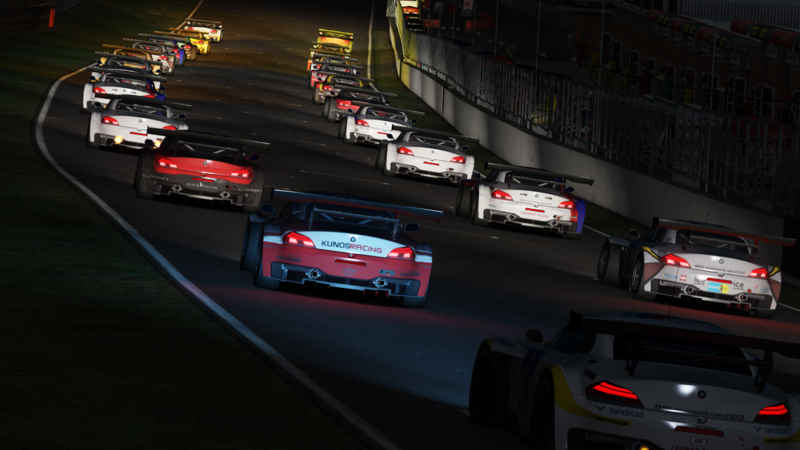 And assetto corsa will continue to be attractive from now on I think that it is necessary to do so. First on Chuto C1 Midnight mod track and the TNT RX7 FC with the PP filter set to MoonGaze. Head lights turned on and were glowing more, but not as in your video. Switched the track to Highlands Short, and the car to MX5 ND with the same results. Lowsound what weather do you use? Try MoonGaze. I think some of the weathers in this pack dim bright areas too much. And also, of course, light can always be set to be brighter in the future, it’s just some simple built-in values to see if it’ll work for now. Lowsound Something new is coming, be patient. Lowsound could you please tell me, where can i get night PP's and weather and working with VR Reshade version? You've put the old lady called Assetto Corsa to a hole new level!!! Thank you a lot!!!! the lights dont work right in replay for me is this normal? its been crossed off as an issue as if its been fixed ? VeniVici sorry, it works for me. Are you sure you’re using last version? NeilMcMath thank you! Yes, of course, I’ll tune it down, right now it’s such a lit up mess on a starting grid with a lot of cars. mclarenf1papa oh, thank you! So glad I put those builds here. Shai just in case, do you see Reshade message while starting AC? If not, do you have dxgi.dll in AC root folder? Excellent work - when a car is behind, the cockpit of your car is lit up too brightly and you struggle to see anything !! the dash is just a blur of white. if this could be shaded darker to lighter (darker at the foot well and brighter towards the roof level) it would be awesome. Really good work guys, please keep it up !! Hello! Excellent work! I'm trying to watch the replays or put the TV cameras of the F3 but the lights are stuck to the ground, as we could correct that, since I see that in your video if it works. Thank you! CharlieVega Yeah I have the same issue, Joycam works fine thou. CharlieVega @x4fab Can confirm that this is an issue in 1.1.7; 1.1.6 is fine. mclarenf1papa Can confirm that this is an issue in 1.1.7; 1.1.6 is fine. Yes 1.7 I will download the 1.6 to test. I just tried the 1.6 and the same thing goes on as before. 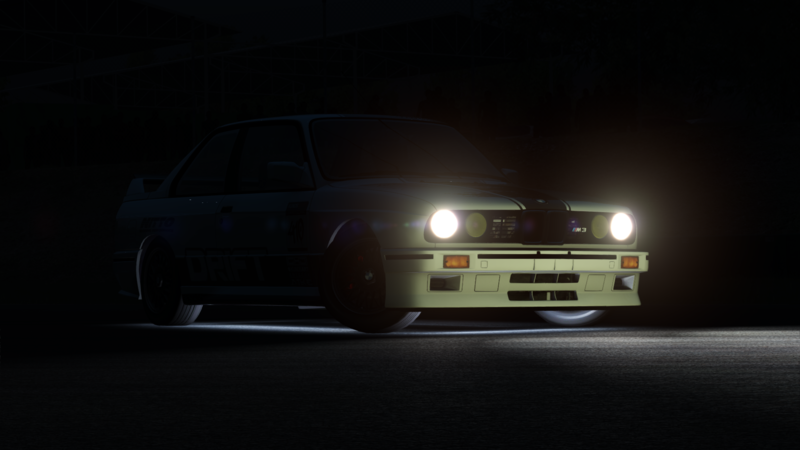 - with multiple cars I do find that the exterior lights on the ground from several cars gets very bright, cars shined on by other cars seem to lose reflections sometimes (in some of the videos, looked at from the outside) and appear too bright and the whole interiors get extremely bright when shined on by a following car (in some cars some areas of the cockpit appear entirely white, see the McLaren in the second video). 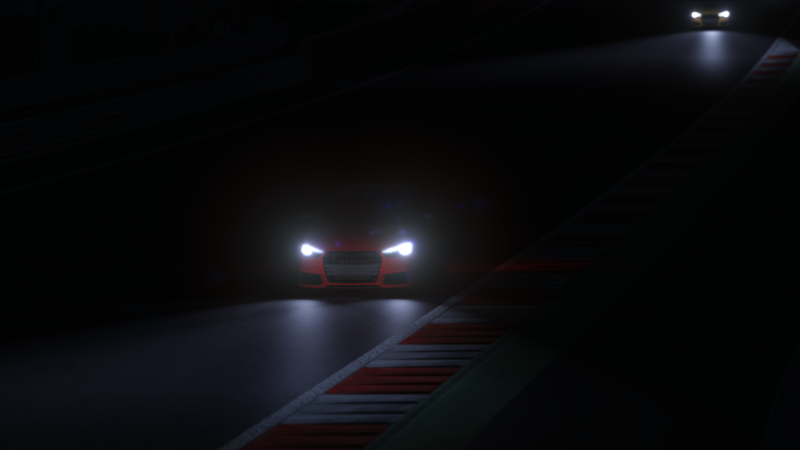 I've tested this with default AC, my own custom as well as the weather's pp presets and different night weathers - some pp presets make it less bright but don't eliminate the issue entirely. - In replays the dynamic lights don't appear work. - And in external (F3) track cameras the lights stop following the cars and are "stuck" on the ground as one of the posts above said. JMartinni thank you for test! 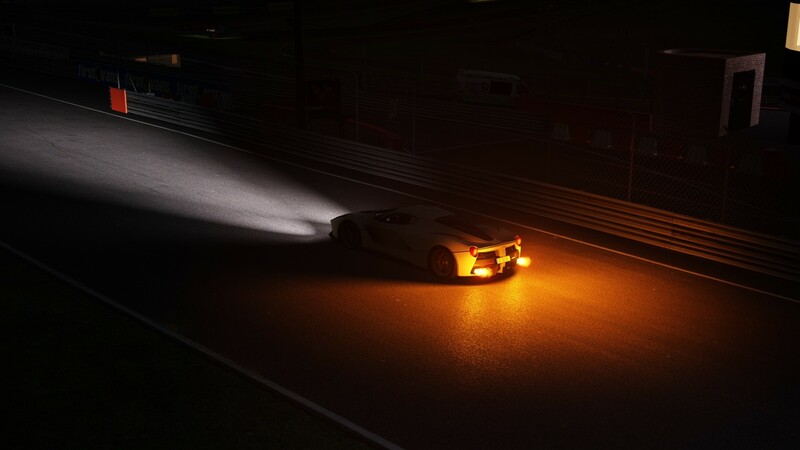 I think I’ll tune down lights from other cars (and for player car in replay mode so they’d look the same), this way it would also solve a lot of performance issues as well. Correction - lights do work in replays but they're stuck in external cameras (as mentioned above). 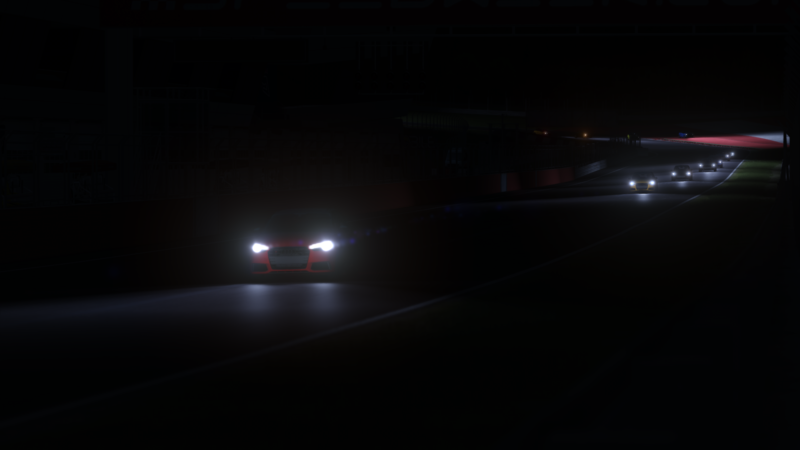 One observation about that: lights continue to follow the cars when moving the camera in free cam mode (F7) but get stuck/stop updating as soon as you stop moving the camera. Hey, my lights don't work properly in replay and free cam. The lights are getting stuck on the ground and do not follow the car. On version 0.1.5 they were working fine, but on v0.1.7 they aren't working and are getting stuck on the ground. Is this a common bug or is it just happening to me? I would really like to get the lights to work properly again as I would be able to make more videos using them. Much appreciated for the help, thanks!